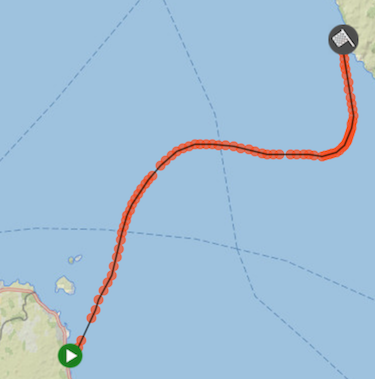 Oldest individual (female or male) to complete a solo crossing of the North Channel. 14 hours, 22 minutes on August 24. Age 65 years, 204 days. Sanctioned by Irish Long Distance Swimming Association. Piloted by Quinton Nelson. North Channel solo swim results (ILDSA). Videos by Fergal Somerville and Pat Gallant-Charette. Last Wednesday, in an incredible time of 14 hours and 22 minutes Pat Gallant-Charette became the oldest individual to swim the North Channel. You could say she achieved this milestone at an incredible age, but Pat ignores the ‘65’ barrier and shows no sign of abating in a quest to take on the most challenging of open water swims. She is clear demonstration to us youngsters that age is a number not a barrier. Pat’s North Channel swim on Wednesday was her second attempt. Her first attempt in 2013; a marathon 16¾ hours, was halted within ½ mile of the Scottish coast as the tide cruelly reeled her back towards the middle of the Channel and her wrist was badly sprained - even in that swim (I believe) she was the oldest ever to take on the North Channel. She now proudly holds the distinction of having spent more time in the North Channel (30+ hours) than all other swimmers, with the exception of Alison Streeter, Kevin Murphy and Anne Marie Ward. 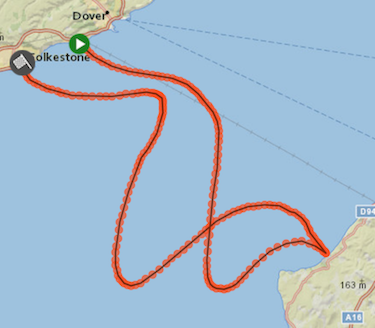 Oldest individual (female or male) to complete a two-way crossing of the English Channel. Only swimmer to complete English Channel crossings in five different decades. 42 miles in 36 hours, 26 minutes on August 30 (split times: 15:03:00 + 21:23:00). Age 59 years. Sanctioned by the CS&PF. Piloted by Neil Streeter on Suva. Oldest individual (female or male) to complete a solo swim of the Catalina Channel. 20 miles in 15 hours, 2 minutes on September 27. Age 66 years. Sanctioned by the Catalina Channel Swimming Federation. Piloted by Greg Elliot on Bottom Scratcher. I would like to nominate Carol Schumacher Hayden for female solo swim of the year. Carol, age 66, set a new women’s and overall age record when she completed her solo crossing of the Catalina Channel in the time of 15:02:44. This was a hard-won victory for Carol as she planned to swim the channel last year, but had to delay her plans due to a severe concussion that she sustained while traveling overseas. Carol struggled through training during a full year of headaches, vertigo, memory loss and fatigue, all of which were worsened by training in cold water. She struggled through her swim training with post-concussion syndrome for twelve long months, not knowing whether she would be healthy enough to attempt her swim until two short months beforehand. Her symptoms finally subsided in mid-summer, and on September 27, she overcame not only the obvious physical and mental obstacles associated with a channel swim, but also prevailed against the debilitating effects of post-concussion syndrome. To top it off, at age 66, she raised the bar even higher for those aspiring to set an age record. 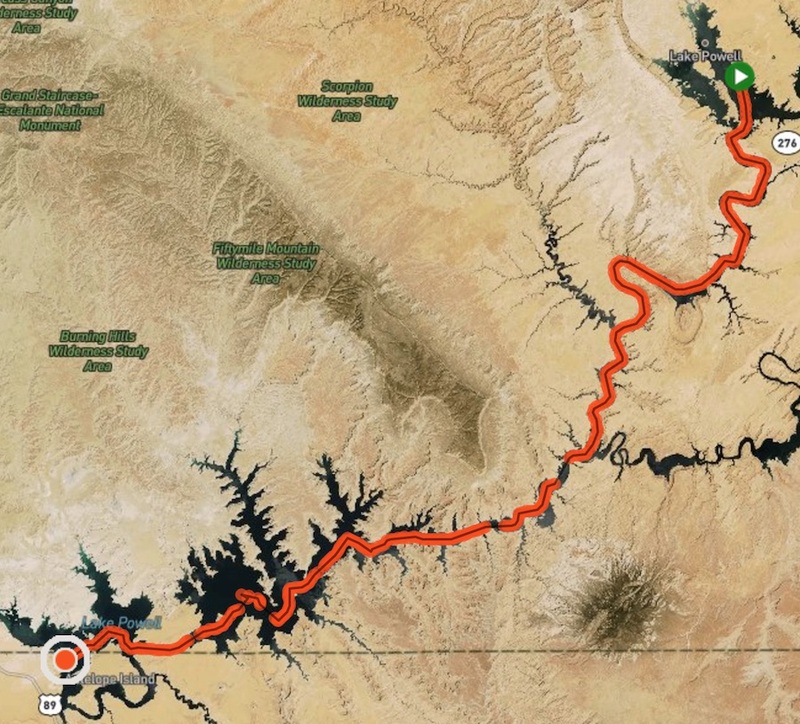 80-mile (129 km) swim in Lake Powell from Bullfrog, Utah to Wahweap, Arizona - the longest known nonstop, solo, unassisted, current-neutral swim in any body of water. Observed and documented by Andrew Malinak and Suzie Dods. Piloted by Jamie Patrick and Karl Kingery. New record for earliest English Channel swim in the calendar year. 21 miles in 13 hours, 13 minutes on May 16. Previous record: Kevin Murphy (29 May 1990). Sea temperture 12C (54F). Sanctioned by the Channel Swimming Association. Piloted by Andy King on Louise Jane. CSA swim result and record announcement. 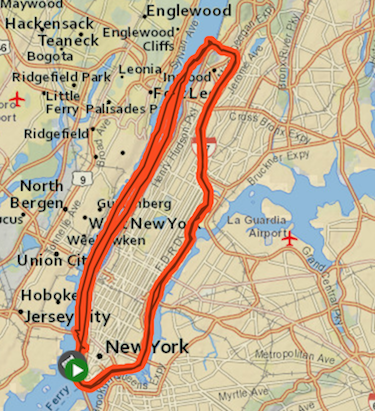 Double-circumnavigation of Manhattan Island. 57 miles in 20 hours, 15 minutes on September 17-18. Observed and documented by Urban Swim. Between 17 and 18 September this year, Christian Jongeneel from Malaga in Spain became one of only a few people to complete a double circumnavigation of Manhattan Island, setting a new record of 20 hrs 15m and 57s in the process. Crossing of Lake Issyk Kul, Kyrgyzstan, from Kara-Talaa to Toru-Aygyr. 8.6 miles (14km) in 6 hours, 2 minutes on July 6. Sanctioned by the Lake Issyk Kul Swimming Federation. I would like to nominate @IronMike for Male Solo Swim of the year for his crossing of Lake Issyk Kul in Kyrgyzstan on July 6th, 2016. Lake Issyk Kul is the second largest alpine lake in the world and sits at 5,253 feet elevation! 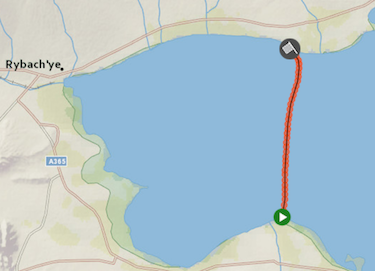 Mike swam a 8.6 mile/14km route from Kara-Talaa to Toru-Aygyr in 6:02.45, chosen to follow in the path of the mystical Kyrgyz horse who swam the lake in local legends. Although it may be one of the shorter swims nominated in this category, this is a meaningful, challenging, and beautiful swim. Swimming at altitude is always tough unless you live at altitude, and this is a swim that had never been done before so logistics and planning were relatively difficult. After a false start last summer, Mike succeeded this year and has already inspired the local people to become more active in their daily lives, and started to open authorities up to the ideas of people swimming in this beautiful lake for enjoyment and fitness. Mike documented his experience, created the Lake Issyk Kul Swimming Federation and another swimmer has already re-created his swim. Overall a really neat endeavor.